As you may know, the interest costs on your home loan are non-deductible expenses. Debt recycling is a way to recycle the non-deductible debt from your home loan into tax-deductible debt. The earnings for this debt recycling strategy can even allow you to pay off the debt on your home loan faster. You may be asking how does it work? Well, the Australian taxation system allows you to claim a tax deduction when you borrow money to invest in an income producing investment (such as shares, investment properties and managed funds). The debt recycling strategy works by borrowing against the equity in your property for an investment loan. These borrowings are then used to purchase income producing assets. By using the income from these investments and the associated tax advantages, you can pay off non tax deductible debt from your home loan sooner. Increasing your investment loan by the same amount you have paid off your non tax deductible loan, allows you to continue to invest the increased amount. 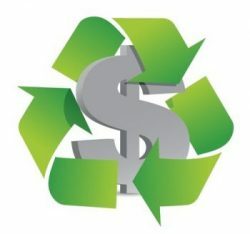 So, what are the benefits of debt recycling? Although there are many benefits, the main benefit is reducing the amount of non tax deductible debt in exchange for tax deductible debt. This allows you to reduce your home loan faster and save on interest! Another great benefit is creating future passive income and long-term compound growth for retirement in these investments. Remember, there are always risks! Below are some risks to consider when using the debt recycling strategy. Borrowing to invest requires long term thinking and the ability to stay on track. Investments will produce gains and losses, at the end of the day you will still owe the balance of your line of credit regardless of you making money or losing money on your investments. Commonly interest rates associated with loan facilities used in debt recycling are often higher than the standard variable loan rates. Debt recycling is not suitable in all circumstances! How should you implement debt recycling? Contact your Initiative Financial Advisor to discuss if this strategy is right for you and your situation.